Rennes is the capital of the Brittany region in Northwest France. Rennes is a dynamic city where researchers, faculty and students make up about one third of the population. Majestic 18th century buildings overlook spacious public squares, and La Vilaine River runs across the city, which is a two-hour trip from Paris and one hour from historic destinations such as Mont Saint-Michel and Saint-Malo. With its young population of 60,000 students, Rennes is a perfect setting for study in France. The city offers an excellent variety of cultural events, with its national theater, opera, orchestra, numerous cinemas, soccer stadium, and skating rink. Rennes provides study abroad students the opportunity to learn the distinct Celtic traditions particular to this region of France. As the practice of law in the U.S. becomes increasingly global, studying law in Rennes gives you an opportunity to study international and European Union law to enrich your education and experiences. Use the Course Catalog to look for course descriptions. Please search for coursework offered at the Université de Rennes1. Kline School of Law students must take a full-time load at the Université de Rennes1, which is 30 ECTS credits per semester. Students must be sure that they are taking the equivalent of at least 9 Kline credits. Students will be billed by Drexel for 12 Kline School of Law credits, and adjustments will be made to the bill after the drop/add period of the Université de Rennes1. All courses for Kline students have been pre-approved and are available here. Students may also be able to do an Independent Study with one of the Rennes Professors. Students are taught and graded by faculty at the Université de Rennes. Grades are noted as "CR/NCR" on their Kline School of Law transcript and will NOT affect their GPA. To receive CR, students must earn a passing grade at the Université de Rennes1 (10/20). Students must be a full-time student at the host institution while also taking the equivalent of no fewer than 9 Kline credits. The Université de Rennes operates on a semester system. Students are guaranteed a private room in a Rennes1 student residence, including an en-suite (private) bathroom. Students are responsible for the cost of housing, and may be eligible to receive financial aid for housing costs from the “Caisse d’Allocations Familiales” (CAF). More information here. All students are required to obtain a visa for study in France. Visit the CampusFrance website to create an account and begin the visa application process. 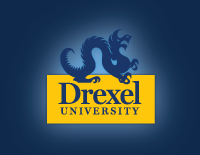 This is a Drexel sponsored program, thus you will be billed your regular Kline School of Law per credit tuition and receive the appropriate percentage of financial aid. Please note: you will initially be billed for 12 Kline credits but your final bill will be adjusted after the Université de Rennes drop/add period to reflect actual credits taken.